1) 1000 Free AA miles for watching a video – In an effort to help recently converted Dividend Miles members get acquainted with AAdvantage, American Airlines is holding a promotion where you can very easily earn 1,000 AAdvantage miles. I just did it and it took only about 2 minutes. 1000 miles may not sound a whole lot but I had a few instances in the past where all I was short was a few 1000 miles to book an award ticket so 3 minutes may be well worth your effort to earn an extra 1000 miles. As part of the promotion you have to watch 6 videos. Each video tells you a little about AAdvantage before requiring you to answer a simple question. After completing all six videos you will have earned 1,000 AAdvantage miles and you can also enter to win the grand prize of two first class tickets to anywhere American Airlines flies. However, you may scroll to the end of the video if you are operating in rush mode and simply answer the questions on the next page. 2) JetBlue 7000 Miles promotion – New Flying blue members can earn 7,000 JetBlue bonus points. To earn the points. sign-up for JetBlue frequent flyer account (through this link), book a paid flight on JetBlue, and travel by June 18, 2015. JetBlue points are worth ~1.4 cents per point. So the 7,000 points you earn are worth ~$98. If you find a good price on a 1-way flight, you may come out ahead! 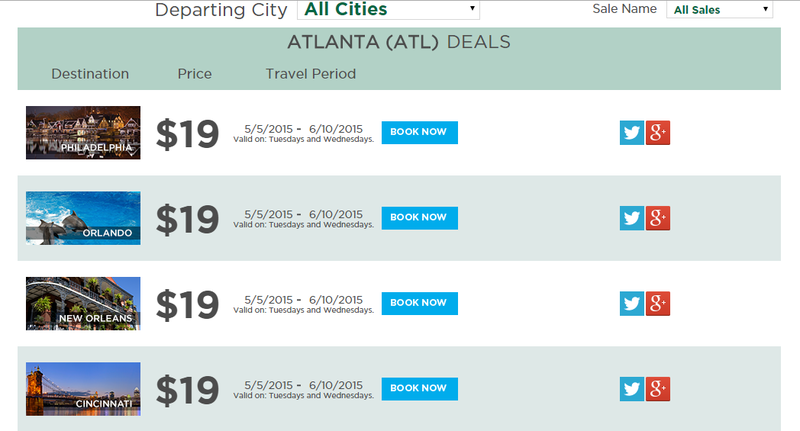 3) Frontier Airlines is having a one day sale today with flights starting at $19 for many of their routes, including flights from Atlanta, GA; Charlotte, NC; Cincinnati, OH; Indianapolis; New Orleans; Orlando, FL; Philadelphia and Washington-Dulles for select dates in May and June. If you are interested in scoring any of these fares for $19, be sure to book sooner than later because the fares usually sell out rather quickly. Tickets must be purchased by 11:59 pm Eastern time on April. 30, 2015 for domestic, nonstop travel in select markets and dates, May 5, 2015 through June 10, 2015. If you are looking for a quick getaway, you might want to take a look at some of these deals. 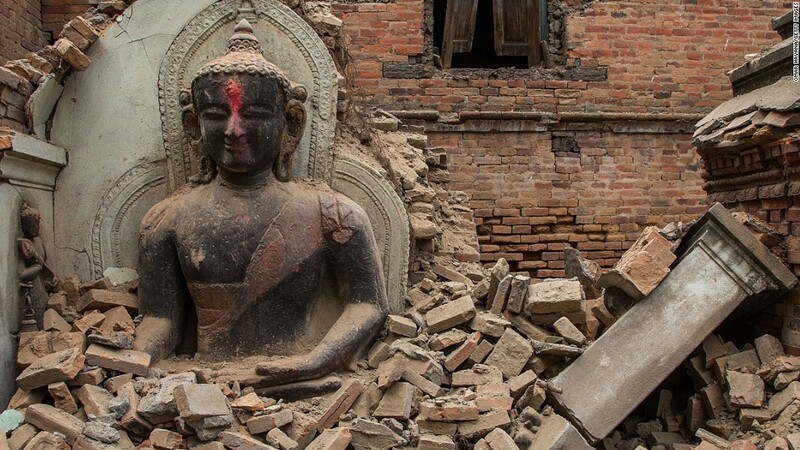 You can visit the link here and donate either Hyatt Points increment of 5000 or cash. 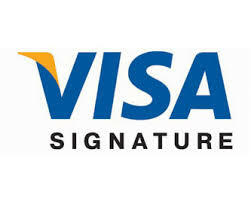 If your visa card bears a logo which says “Signature” like the one below than you are in for a treat rest of this summer. 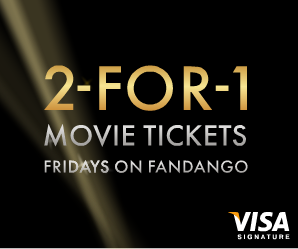 You can get this deal each Friday starting at 12:01 am Eastern Time and ending Saturday at 5:59 am Eastern Time, through August 21, 2015. To get your free ticket, add 2 or more tickets to your cart and the lowest priced ticket is free. As per the offer terms you can only get 1 free ticket per card, every 30 days but a workaround is adding co-users on your card so now you can get multiple ticket offer for each cardholder. Also, there is a limit of 1 registration per email address (regardless of card number) per 7 day period so you may need a different email address for each visa signature card you have in your wallet.